The backlink check tool is running a series of tests to determine how many backlinks are pointing to the website or link you entered. Additional information is also being collected including anchor text used, Page Rank of the backlink source, and any potential flags or warnings for each individual link.You need to have quality backlinks for your website in order to have it ranked in the search engine. Therefore, it is important to create quality backlinks for your website. If you have relevant backlinks and SEO, optimized content nothing will restrict you from appearing in the first page of Google. The process may be complex but the tool is simply and quickly does the work on your behalf. Start using this free tool today! From last many years of seo we are learning that backlinks are the most important thing for search engine ranking. Still now backlinks are important but there are other many factors for search engine ranking. If you build unqualified spam backlinks or do any blackhat seo for your website then your site will never get ranked in any search engines. So it's really very important to create quality backlinks for your website. If you have relevant backlinks and seo optimized content then no one can stop you from search engine ranking. So in this case we are introducing our backlinks checker tool. 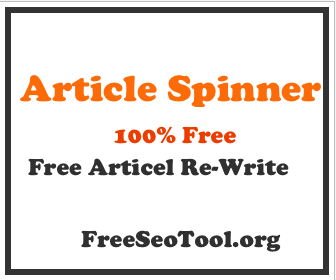 It's fully free seo tool anyone can use it for their website. The working process of this tool is very simple but the work is too big. It shows how many domain exactly pointing your domain as backlinks. How many backlinks you have in google and how many you have in bing search engines. If you are trying to get your websites ranking then it's highly recommended to use this backlink checker tool because only this tools can give you knowledge of exact backlinks number. You can also check your keywords position by using our free Keywords Position Checker tool. Which is awesome. We hope our free seo tools will provide you an ultimate seo solution.